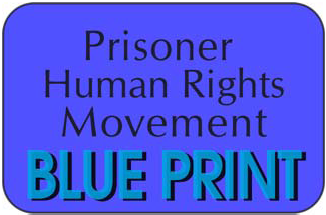 Support the prisoners by advocating for the Five Core Demands (read them here) rather than agitating for other goals or your own demands. Remember that the prisoners chose a “nonviolent peaceful protest” and plan your solidarity actions with that spirit in mind. Honor the larger community of prisoner-rights and anti-prison activist organizations by coordinating with the coalition of solidarity groups and refusing to claim leadership of the solidarity campaign. 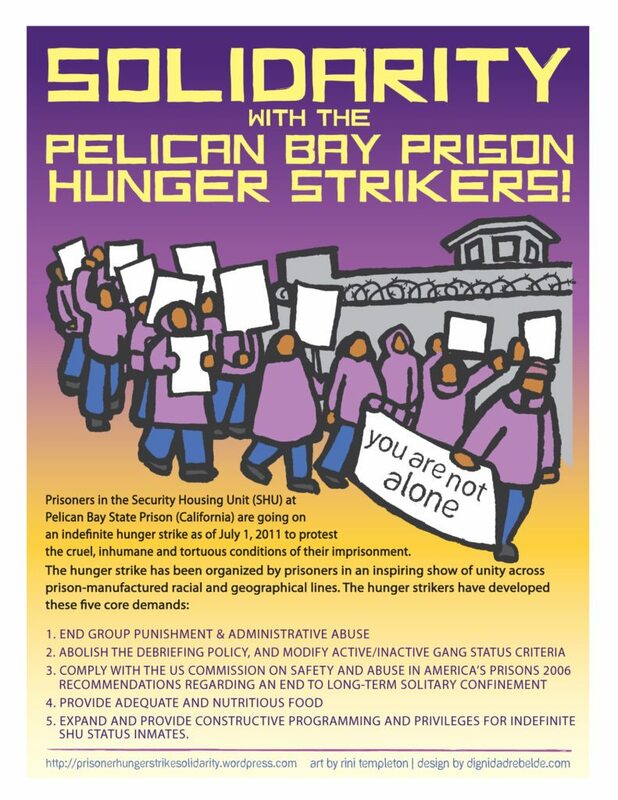 The Prisoner Hunger Strike Solidarity (PHSS) is a coalition that formed at the specific request of prisoners inside Pelican Bay State Prison when they announced the first hunger strike in 2011. They asked for a coalition of prisoner-rights and anti-prison activist organizations to work as one to make sure their voices are heard and their demands met. To honor that intention, please communicate with the coalition about planned solidarity events and coordinate together when possible. Add your planned event to the calendar, or email the PHSS coalition at: prisonerhungerstrikesolidarity.wordpress.com to coordinate. Are the powers that be going to understand that all of these causes are being represented by the same entity? I agree with just about everything you are doing. Its just that I think the enormity of support you are getting might not all be getting noticed. I am new to this type of thing, so maybe I’m just getting a little distracted. if im interested in organizing one how should i set it up? Pingback: #CAHungerStrike: 24 Hours of Actions for the 5 Demands!